Hmmmmm. Interesting question, isn’t it? We've all definitely heard stories where this might be the case. But many of us have also experienced the frustration of the facial recognition on a phone not working because of hair being parted a different way that day. So what is the answer? The technology is designed to account for certain universal variations – for example, your exact pose or expression, lighting levels, and aging. (Disguises, too, in case you were thinking of going rogue and trying to game the system. But we certainly don’t recommend that as a good reason to get a facelift.) The technology works even if you grow a mustache, you’ve developed a few more wrinkles, your acne has flared up, you have dark circles under your eyes, or your skin is starting to sag. If the iPhone X detects any of these changes, it automatically takes a new scan of your face to use for future comparison. So it continually adapts to your “new normal.” However, a facelift can make more dramatic changes that confuse the system – depending on the extent of the facelift. We’re starting to see facial recognition incorporated into other types of personal electronic devices such as laptops for security. Commercial and industrial facilities are starting to use it, and many airports around the world have been using facial recognition for some time. A few years ago, a group of Chinese women returning home from getting facelifts were stopped at airport security because their faces didn’t match the photos on their passports. 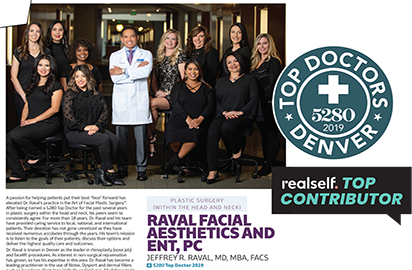 Other types of facial plastic surgical and even some less invasive procedures can pose the same potential challenges. Rhinoplasty that changes the shape of your nose, blepharoplasty that changes your eye area, a brow lift, cheek or chin implants, and fillers that add volume to the cheeks or lips all affect the central part of your face – the focal area for facial recognition. So a MACS facelift is more likely to cause recognition problems than, say, a neck lift. But what about a mini-lift? The truth is, as of now we really don’t have clear answers. One thing we do know: with the rapidly rising popularity of facial enhancement procedures, including facelifts, developers are hard at work creating smarter facial recognition technology that can identify the “real you,” even though you’ve made significant changes to your face. So don’t let your phone or your passport get in the way of making the facial enhancements you’ve been dreaming of. Heck, even if your phone doesn’t recognize you, all you have to do is enter your backup password, and if you have it, your iPhone X will capture a new map to use going forward.